Singapore, 2 April 2019 – WorldHotels, a global brand representing over 300 of the finest independent hotels around the world, proudly adds the stunning new LN Garden Hotel Nansha into its portfolio. 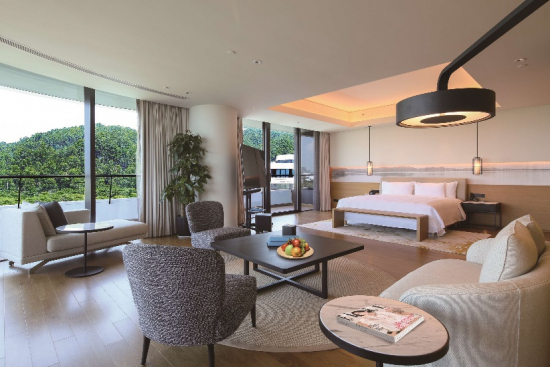 This partnership strengthens WorldHotels’ presence in Guangzhou with 4 affiliate hotels, and brings the total number of WorldHotels properties in Greater China to 27. 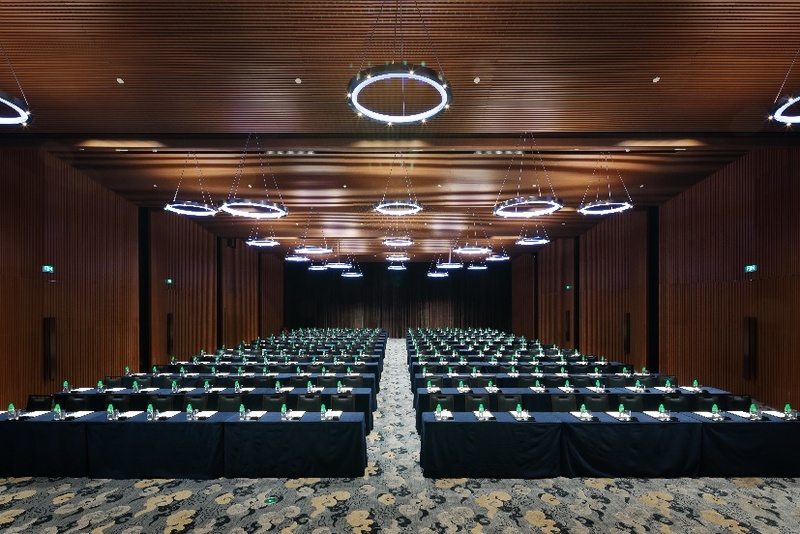 LN Garden Hotel Nansha, Guangzhou, located at the heart of the Guangdong-Hong Kong-Macao Greater Bay Area, officially opened on 28th August 2018. The hotel draws inspiration from the rich heritage of the LN Garden brand. A design masterpiece by Croatian architect studio 3LHD, LN Garden Hotel Nansha prides itself with its unique concept of incorporating nature into living, by merging its premises with its vast surrounding landscape of mountains, lakes and the sea. Upon stepping into the hotel, guests are greeted with a massive art installation at the central lobby that is designed to intensify their sensation of its surrounding elements: light, air, wind and water. An artful balance of Chinese and Western influences, the hotel combines green and environmentally friendly aesthetics to offer travelers a sophisticated, yet relaxed and intimate stay. 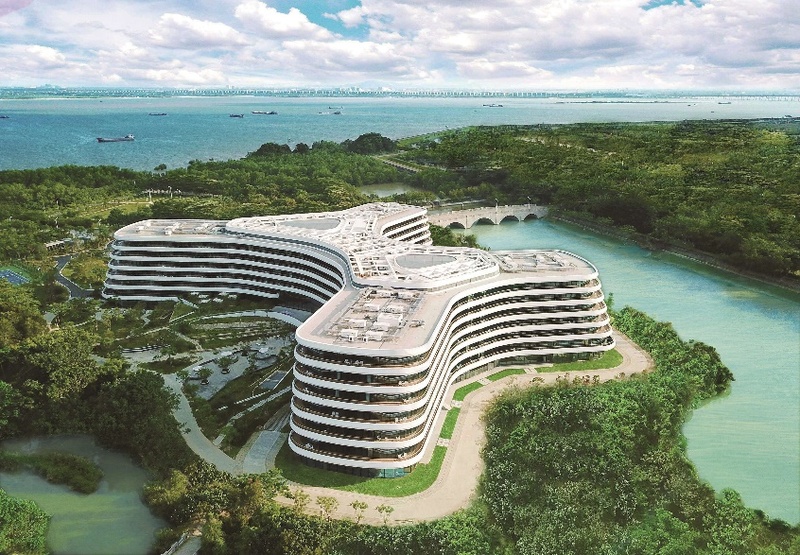 Redolent of a cruise ship heading for the ocean, LN Garden Hotel Nansha confirms its status as a new major landmark in the Guangdong-Hong Kong-Macao Greater Bay Area. Located at the southernmost district of Guangzhou, about an hour’s drive from the city center Guangzhou, LN Garden Hotel Nansha boasts a strategic location at the heart of the Guangdong-Hong Kong-Macao Greater Bay Area and is easily accessible from key destinations of Shenzhen, Shanghai and Hong Kong. Shenzhen Bao’an International Airport and Guangzhou Baiyun International Airport are just a 60 and 90-minute drive away respectively, while the ferry terminal is a mere 10-minute drive away for those looking to take a 75-minute ferry ride to Hong Kong. LN Garden Hotel Nansha is also in close proximity to the Humen Bridge, making it easy to travel to neighbouring Chinese cities in the Guangdong province. LN Garden Hotel Nansha is home to 365 rooms and suites, all of which are made of natural building materials for the environmentally-conscious traveler in mind. Rooms also come with a spacious balcony boasting gorgeous views of the mountains, gardens, lakes and sea for guests to bask in. 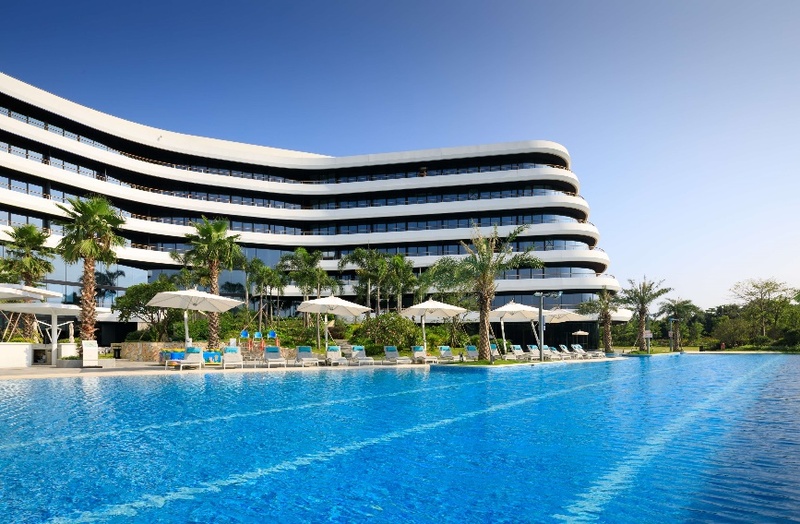 Opportunities for recreation and relaxation are aplenty – a heated indoor swimming pool, outdoor pool and fully-equipped gymnasium are available for guests to unwind after a long day. 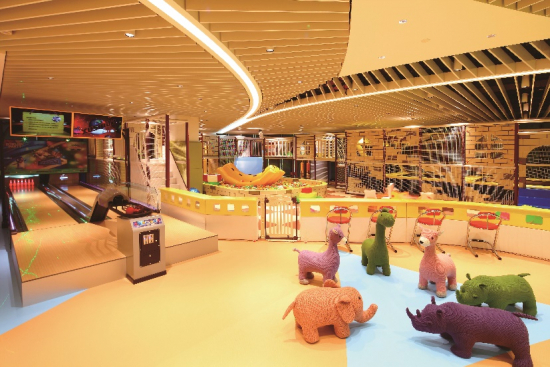 Little ones can enjoy the hotel’s 1,200 sqm YOYO Kids' Kingdom, a dedicated play space designed for fun for the whole family. For outdoor activities, guests can ride along the waterfront cycling trail, try their hand at the hotel's 36-hole golf course, cruise the shoreline, or visit the Thean Hou Temple, Sunflower Garden, Nansha Wetland, and many other attractions surrounding the hotel. 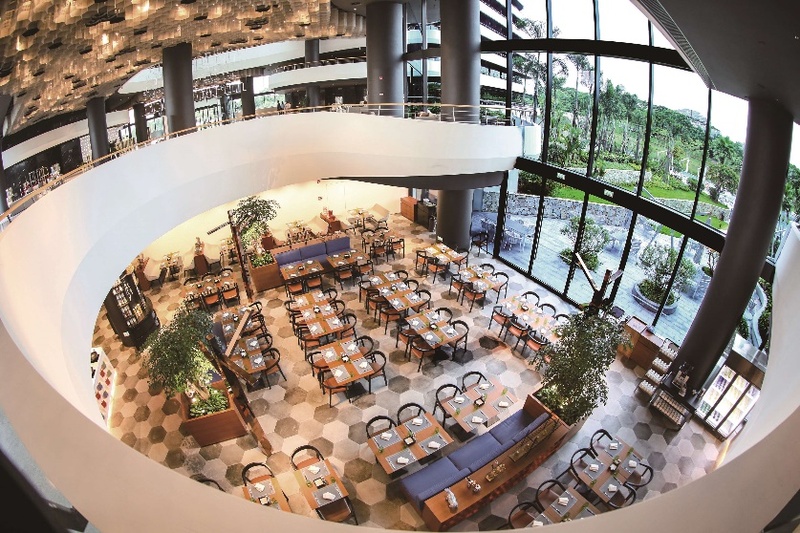 Hungry guests can select from a variety of dining options including classic Chinese delicacies at Peach Blossom, an international buffet at Café Flora, and barbeque specialties at Grill. 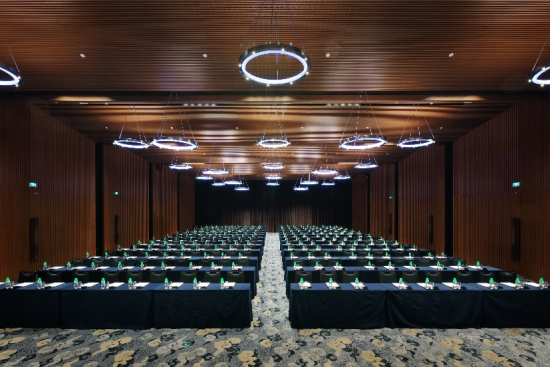 For large scale events, event planners can consider LN Garden Hotel Nansha’s Grand Ballroom – a 2,000-sqm pillarless banquet area featuring a full-length glass wall with serene views of the outdoor greenery and surrounding landscape. The hotel also has seven meeting rooms of various sizes to fit all needs, as well as a 1000-sqm lawn facing the sea and mountains at the back, making it the perfect backdrop for fairytale garden-themed weddings or bespoke cocktail parties for corporate clients. Newly relaunched, the WorldHotels™ Collection delivers proven soft brand solutions for a curated global offering of over 300 of the finest independent hotels and resorts. Founded by hoteliers dedicated to the art of hospitality, only WorldHotels curates the best independent properties around the globe, each reflective of the locale by offering intuitive service, and a refined sense of character. WorldHotels’ proprietary ‘Start With Why’ philosophy helps each hotel identify their unique set of assets that distinguish and elevate their guest experience and revenue generation performance from the competition. Geared to both business and leisure travelers, the WorldHotels Collection is classified into three tiers allowing guests to select the offering that meets their needs: WorldHotels Luxury, WorldHotels Elite and WorldHotels Distinctive.